CLIR logo and session minutes from Second Presbyterian Church, Philadelphia, PA, 1778. 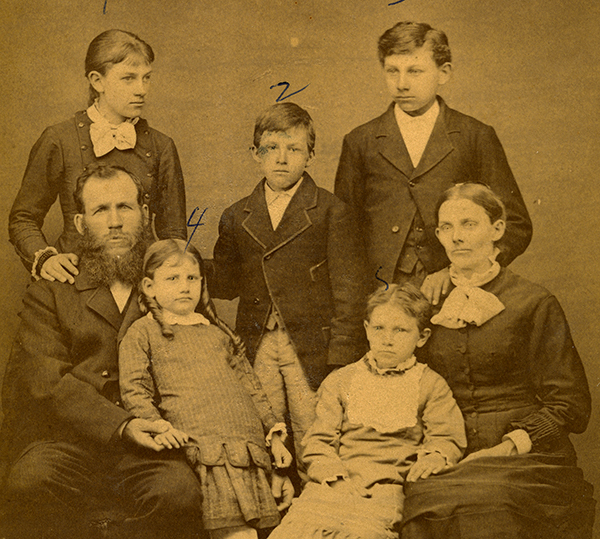 The $385,000 grant award enables the consortium to digitize and share online more than 41,000 pages of records from the years 1708 to 1870, including baptismal, marriage, bar mitzvah and burial information. The project was one of 14 recommended for funding in 2017 out of 118 applicants. Nancy Taylor, PHS Director of Programs and Services, helped plan and prepare the application. She will also help oversee project implementation. Beth Hessel, PHS Executive Director, noted the long history of Presbyterian involvement in similar collaborations. In addition to Christ Church and First, Second, and Third Presbyterian Churches, the project’s records originate from the congregations of Mikveh Israel, St. George's, St. Thomas African Episcopal, St. Peter's, and Gloria Dei. Records from First Baptist Church are held at the American Baptist Historical Society and records from St. Paul's at the Episcopal Diocesan Archives. PHS stores historical records not only for Pennsylvania churches, but for PC(USA) congregations and mid councils from all 50 states, Puerto Rico, and the District of Columbia. Beginning in 2020, researchers will be able to access the CLIR project’s digitized materials through free online portals, including the Internet Archive, Digital Public Library of America, and the Philadelphia Area Consortium of Special Collection Libraries. PHS’s digital online archives, Pearl, is currently available to researchers interested in Presbyterian history. 11 hours 51 min ago. Today’s #HistoricalFigureFriday honors Reverend James Patriot Wilson. Born in 1769 in Lewes, Delaware Wilson went on to graduate from the University of Pennsylvania in 1788. He initially studied law and was admitted to the Bar but the unexpected death of both his wife and brother led him to a religious path. He was ordained as pastor of the Presbyterian Church in Lewes in 1804 and in 1806 he accepted a call to lead the First Presbyterian Church in Philadelphia. He resigned as a much celebrated pastor in the spring of 1830 before he died December 9th 1830. Our portrait of Reverend Wilson was painted in 1807 by none other than James Peale the younger brother of Charles Willson Peale. This oil on canvas painting represents one of the many large portraits James Peale completed after he shifted away from miniatures. To see more works by James Peale visit PAFA The Pennsylvania Academy of the Fine Arts or the Philadelphia Museum of Art.